I was pondering the menu at a local restaurant the other day when a strange thought entered my head; the chicken math just doesn’t add up. Think about it, when you go to your favorite wing place, how many do you order... 6, 8, a dozen? Where are all those wings coming from. 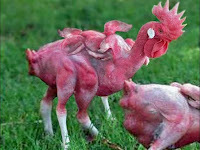 The last time I looked, chickens only had two wings, so it would take six full chickens to produce a dozen wings. 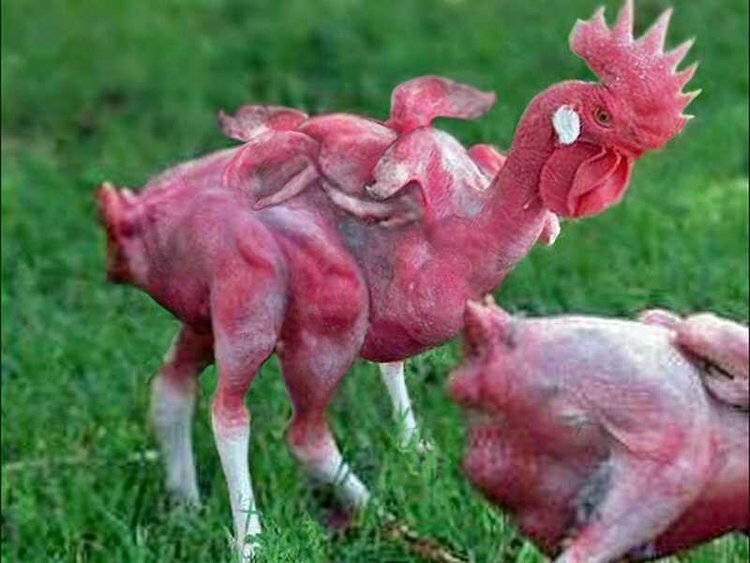 No wonder the Internet was recently abuzz with Photo-shopped images purporting to show a genetically-modified chicken sporting multiple wings, an idea also explored in Margaret Atwood's novel Oryx and Crake in which a company has patented the ChickieNob, a headless bird with multiple wings and legs growing from a central stem. I'm not entirely certain about this, but I suspect the concept of chicken wings as bar food was originally designed to even out the math the other way around. Back in the day, people ate breasts and legs and thighs but nobody wanted those scrawny wings that barely had enough meat on them to justify the effort of chewing. So, some enterprising person came up with the idea of dousing them in hot sauce and an industry was born. My first experience with WFTSOW (wings for the sake of wings) came shortly after I started my first real job post-college. I was an assistant manager at a retail store called Best Products in the Westgate area of Toledo, Ohio. I worked long hours and had to eat many meals in my office on a tight budget. There was a now-long-defunct chain restaurant called G.D. Ritzy's just down the street and they offered a lunch special that featured 4 wings, fries and a drink for $1.99. They weren't exactly Buffalo-style, but they came with a dipping sauce that was pretty good, and I developed a taste for them. A few years later, a Toledo-based wing chain called Frickers opened a location not far from my condo in Perrysburg and I was hooked. Their signature sauce was called the "barbecue killer," and it was not for the faint of heart, but became a part of my weekly ritual. But back to chicken math. How do poultry companies make the demand for the various chicken parts work out? I think the answer, whether we like it or not, might be McNuggets. In a previous life,* the first Evening farmers' Market of the season was much anticipated. My office was located directly across the parking lot from the small park where a dozen or more vendors regularly set up under the sprawling pecan trees, selling everything from homemade soap to cookies to cut flowers. The first few weeks were, understandably, a little light on produce, as the market opened in April and the growing season doesn't really kick into gear until June, but the lack of tomatoes and peppers was more than made up for by the aforementioned craft and baked goods along with cold-hardy vegetables like spinach, lettuce and kale. 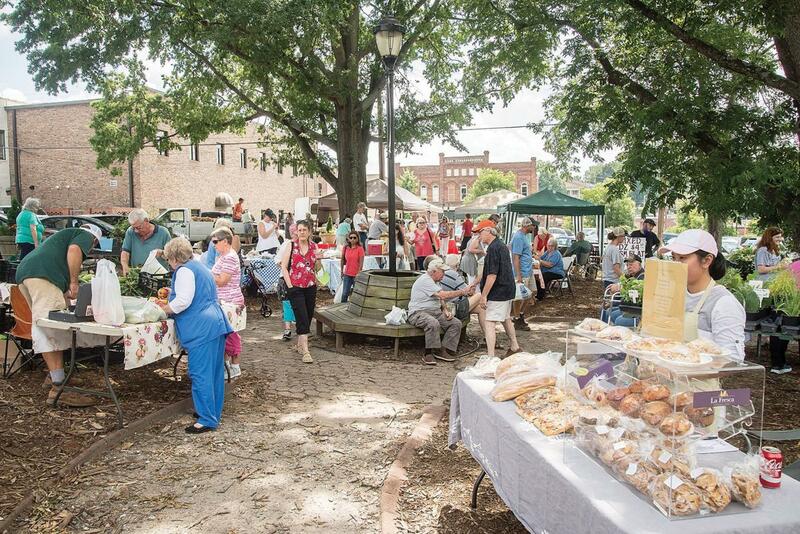 Recalling that experience, I was excited for the first Uptown Wadesboro Farmers' Market last June. To say it was a bit of a letdown would be an understatement. That's not to criticize Uptown Wadesboro or the vendors who participated--they did the best they could with limited resources and some difficult weather--but the lack of both vendors and shoppers was disappointing. In talking to folks around town about the market, there seems to be a chicken-or-the-egg mentality at work. Vendors say it is not worth their time to participate because there are no shoppers, and potential shoppers say it's not worth their time because there are so few vendors. We need to break that cycle. Vendors need to view the first few weeks of the market this year as an investment. 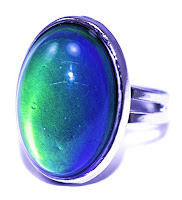 There may not be much foot traffic initially, but I am confident that if people see numerous vendors set up on a weekly basis they will eventually stop by and see what is for sale. About 1,000 people live or work within easy walking distance of the Town Square. If just a quarter of those, 250, took 15 minutes on a Thursday afternoon to have a look at the products being offered, that would be sufficient for most vendors to consider their time well spent. While we certainly do not want to turn the farmers' market into a swap meet or flea market, I think it is appropriate to expand the "farmer's" aspect to include homemade craft and food items such as candles, soap, baked goods, woodworking and fiber arts. There are many issues facing our community which cannot be solved overnight, but a vibrant farmers' market is NOT one of them. We are an agricultural community. We can do this! It has nothing to do with Washington or Raleigh or our local elected officials, this is on us. We, as both vendors and the buying public, simply need to make a commitment to supporting our farmers' market and to buying local. For my part, I will be sponsoring a table at the Uptown Wadesboro Farmers' Market this summer under the Wynfield Creek Homestead banner. I have planted a market garden and hope to have fresh produce to sell by mid-June. I am also going to sell my handcrafted fishing lures, and honey produced locally by co-worker Megan Sellers. Who else is willing to make a commitment to the Uptown and our community? Contact Julian Swittenburg (704-695-1644) at Uptown Wadesboro and let him know you are interested in selling at the market. Have products to sell, but can't be at the market? Give me a call (704-690-4936) and we can work something out. * Refers to the 10 years I spent in the "Great Northern Void" above Davidson. Special edition of FIELD NOTES today because I want to comment on the new Jaguars uniforms while they are still newsworthy. Jacksonville unveiled its new uniforms yesterday. The good news is that they are definitely better than the ones they replaced. The bad news is that's akin to saying I'd rather be kicked in the shin than in the groin. 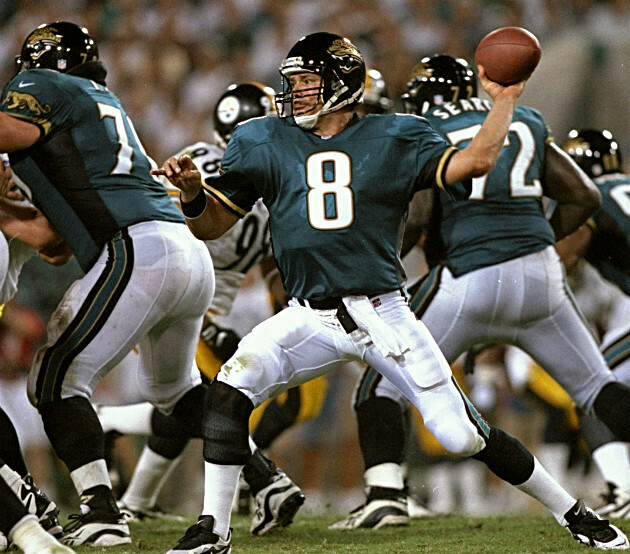 The Jags went from cartoonish monstrosities to uniforms devoid of any sort of character or identity. 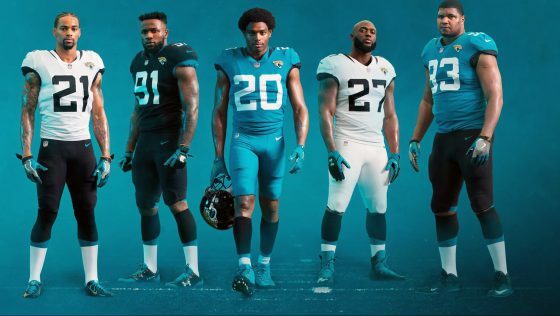 The ironic thing is they are touting these as a "return to tradition," but neither the Jaguars nor any other team in the NFL has traditionally sported uniforms this plain and characterless. 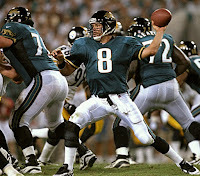 In fact the Jaguars original uniform, the one they wore as an expansion team in 1995, was an excellent, traditional look. It's difficult to understand why they don't simply revert to a slightly updated version of that. Like many young boys, I enjoyed drawing pictures of football players when I was 10 or 11. I would make up entire leagues of fictitious teams with names like Mobile SeaKings, Detroit Electras, Charlotte Chippers, Phoenix Scorpions and Lake Erie Barbs. (Some, clearly, were better than others.) 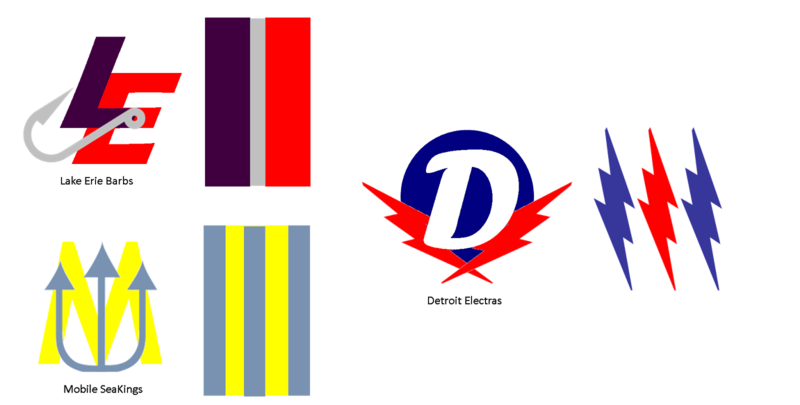 Each team's identity was based on a color scheme/stripe pattern and a primary logo. That's the way uniforms were designed in the 70's. A couple of the teams broke that mold; the Electras, as you might imagine, used a lightning bolt pattern, but they were the exception. If you showed me an NFL stripe pattern back then and asked me to identify the team, I could have easily done so. Those patterns were as much the team's identity as the logo. That's not to say NFL teams didn't change stripes from time to time. There was a period in the mid-70's -- the height of Steelers dominance -- when several teams, including the Packers and the Browns, briefly adopted the "Northwestern" sleeve stripes Pittsburgh wore. There were also teams that did not wear sleeve stripes, the Raiders and Cardinals come to mind, but all teams had a stripe of some sort on their pants. Now you might be saying, that's pretty bold talk for someone whose favorite team was one of the originators of the bad stripe trend in the NFL. Yes, the Panthers tapering pant stripes and weird helmet striping were some of the first aberrations, but if you straighten the pant stripes out and change the helmet to match, it's actually a pretty traditional uniform. At the end of the day, if you are a consistently good team with a strong fan base, you don't need to monkey much with the unis. The Colts, Cowboys, Steelers, Giants, Packers, etc. wear pretty much the same uniforms I remember them in during my childhood. It's the teams that think they need to make a splash that tend toward the outlandish costumes. And there's nothing wrong with having a distinctive style. The Seahawks uniforms are certainly not traditional, and they're way too busy for my taste, but they do evoke the attitude of that city. The Saints and their black leotards, on the other hand, are hard to take seriously, despite the fact they've been far more successful on the field in them than in their more traditional striped pant look. When Janet and I started our first homestead -- The Little House on the Highway (LHOTH) -- outside Bowing Green, Ohio in 1987, we were just a couple of years removed from college and had very limited financial resources. Although we both had good jobs, we had spent every penny of our meager savings on the down payment and were, like many couples just getting started, cash poor. There were some anxious moments those first few years as repair bills on the aging farmhouse mounted (I think we put the plumber's kid through college) and the stark realities of rural living began to wear on us. Fortunately, both of us had been raised by parents who were a little financially challenged themselves and we understood how to stretch a dollar. Ultimately, that initial homesteading experience did not work out, but we were able to sell the farm for a small profit and learned some valuable lessons along the way. Fast-forward thirty years and we find ourselves in a different place, literally and figuratively. Our North Carolina suburban homesteading experience has been much more successful, undoubtedly and in no small measure because we are blessed to be in a better situation financially. Don't get me wrong, the Vanderpumps aren't having us over for dinner and polo anytime soon, but the wolf's not constantly at the door either. Looking back on how we managed to get by in those lean years, I think having very little cash actually made us better homesteaders in some ways; more grounded, inventive and self-sufficient. I recall that we wanted to make a rock border around the front flower bed at the LHOTH, but certainly couldn't afford to buy rocks from the landscape company at 10 or 15 cents per pound. Driving on the back roads one day, I saw a farmer unloading a bunch of stones from the back of his pickup onto a pile at the edge of his property. I surmised, correctly, that the stones had come from his field and had been upturned when he plowed. They were, for all practical purposes, scrap. I stopped and asked if I could have a few of them. He looked at me like I was nuts, but said, "sure, knock yourself out kid!" For the cost of asking the question, I secured enough rocks to ring the flower bed. I also have a rock border around some of the beds at the Wynfield Creek Homestead. Care to guess where I got those? Not from a farmer's field, that's for sure. It seems that once we get a little cash in our pockets, it becomes easier to throw money at problems around the homestead rather than look for self-sufficient, cost-effective solutions. Having said that, there are absolutely situations where it is better to spend to get the job done right. We had a wood rot problem in one corner of the sun porch at the LHOTH which I tried repeatedly to repair without knowing what I was doing. I probably would up causing more damage in the long run. When squirrels did some damage to the fascia board on our house at the Wynfield Creek Homestead, there was no fooling around; I called in the professionals and they did the job quickly and correctly. 1. Self-reliance. Is this something I can reasonably do myself? Is there some part of this project -- that might be beyond my capabilities in total -- that I can do myself to reduce the cost? We had hardwood floors installed in our family room kitchen and downstairs bedroom about 15 years ago. That was a job I recognized as being beyond my capabilities. However, we had a couple of seldom-used rooms upstairs which also needed new floor coverings. Rather than pay to have carpet or wood floors installed I laid laminate flooring, a job well within my ability, and saved hundreds of dollars. 2. Frugality. Is there a more cost-effective way to do this project or to acquire this product? Is there a homemade or low-cost substitute for this product? The best example I can give here is compost. Store-bought compost costs $5 to $10 for a 1 cubic foot bag. Compost made with minimal effort in a backyard compost bin from food scraps, garden remnants and shredded leaves costs essentially nothing... and is generally better quality to boot! 3. Sustainability. Is there a way to decrease the long-term cost of the project or product by investing more time, effort or money now? My natural areas are great example. As recently as 2012, I was purchasing 50-60 bales of pine straw each spring to refresh the natural areas around the house. Pine straw runs around $3.50 per bale, so that's a total cash outlay of $175-$200 on a perishable product that only lasts a year. I slowly started replacing the pine straw with plantings of perennial ground cover, mostly vinca minor and creeping Jenny. These prolific plants cost $2 to $3 each, and I needed dozens of them, but once a good patch got going I was able to propagate them into new areas at no cost. Over the past five years, I have reduced the number of bales of pine straw I purchase by more than half, and my goal is to get down to a dozen or less within the next two years. 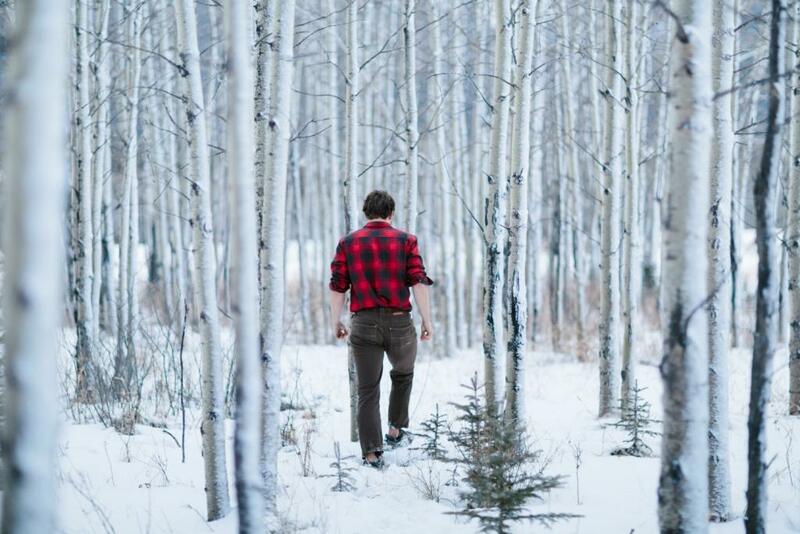 To be honest, I had planned to put my flannel shirts away for the summer last weekend, but ran out of time; and good thing, as temperatures this weekend struggled to make it out of the 40's and my flannel got in one last fling. I really don't feel like I got my money's worth out of those shirts this year. We had a warm spell right after Thanksgiving, and just about the time the mercury started to drop, we had planned a Christmas beach trip. After the first of the year, I got a case of the crud and didn't fully shake it until near the end of January. That was six weeks of prime flannel season down the drain. By the time I felt good enough to resume my normal outdoor routines, the area was in an extended warm-up, what I like to call the January Bump, and by the time temperatures fell back into a more seasonal pattern winter was all but over. Barring the start of another ice age, however, the flannels will go back in storage next weekend and the shorts and tee shirts will make their first appearance soon after.